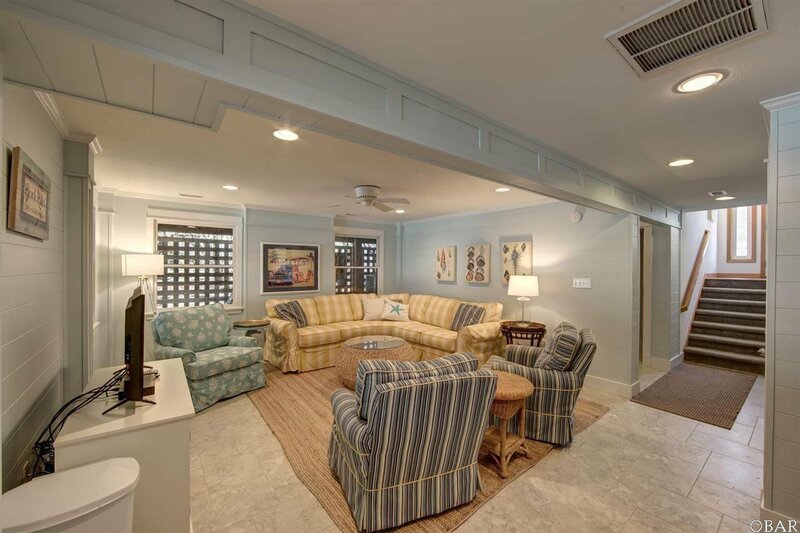 YOUR CHANCE TO OWN IN THE SOUGHT AFTER SEA CREST VILLAGE! 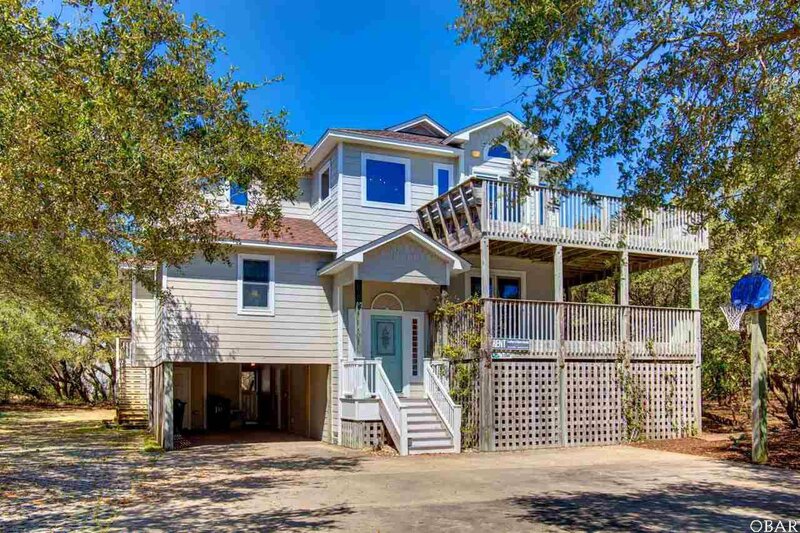 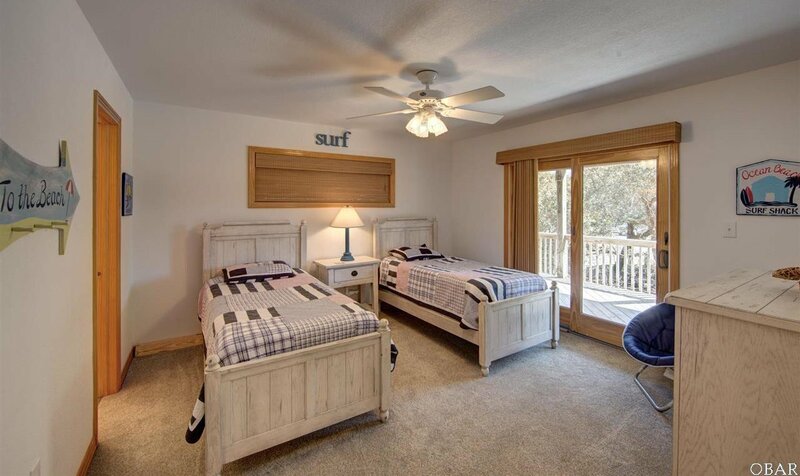 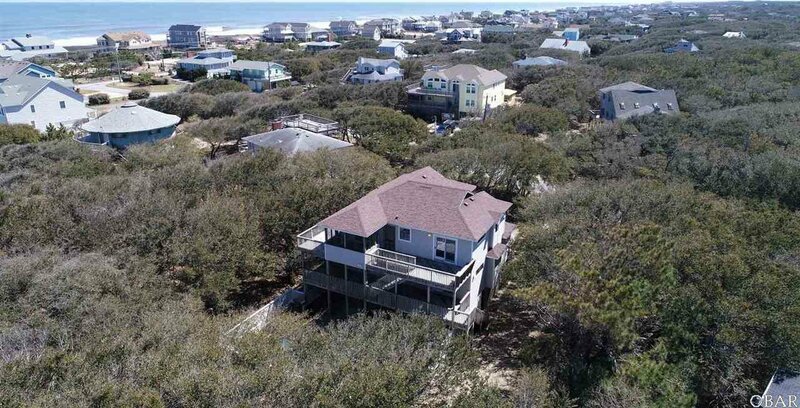 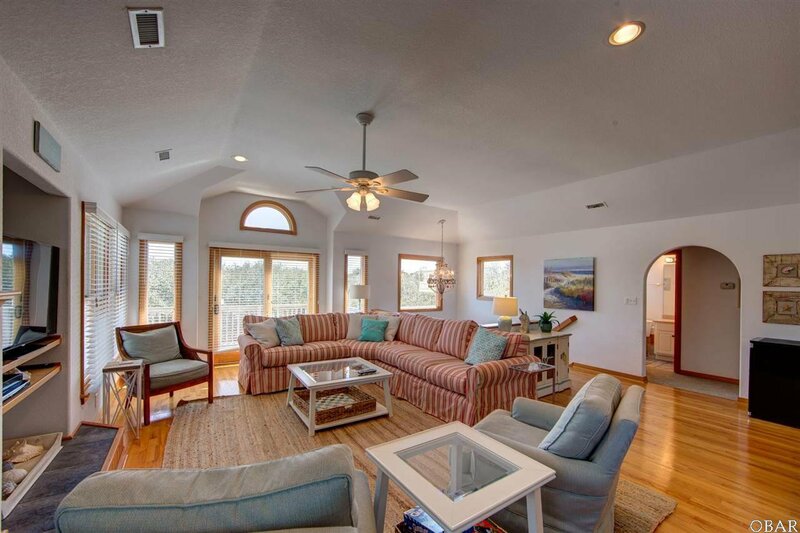 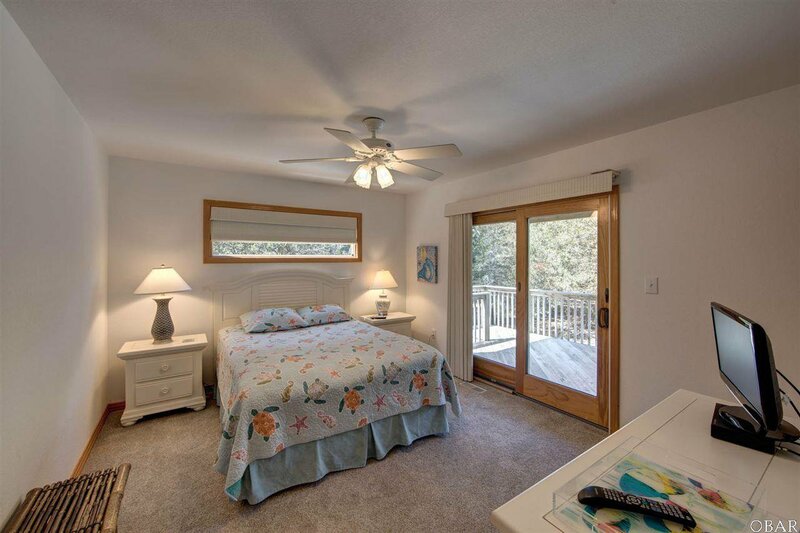 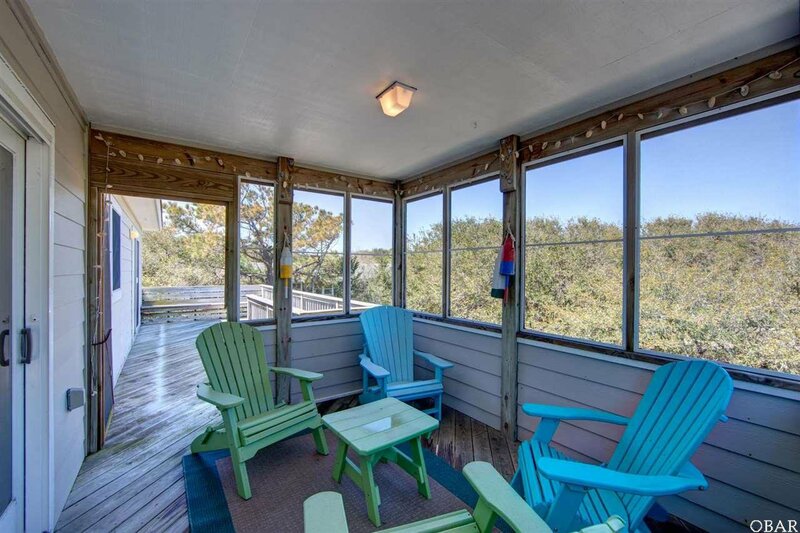 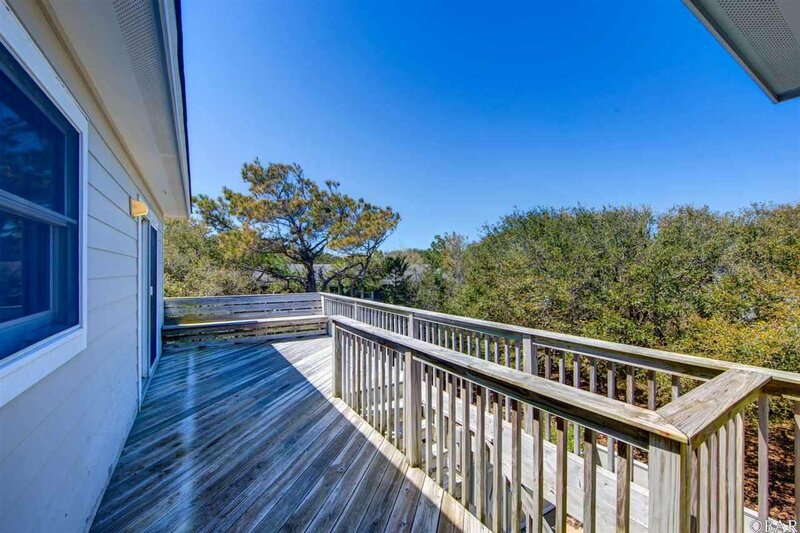 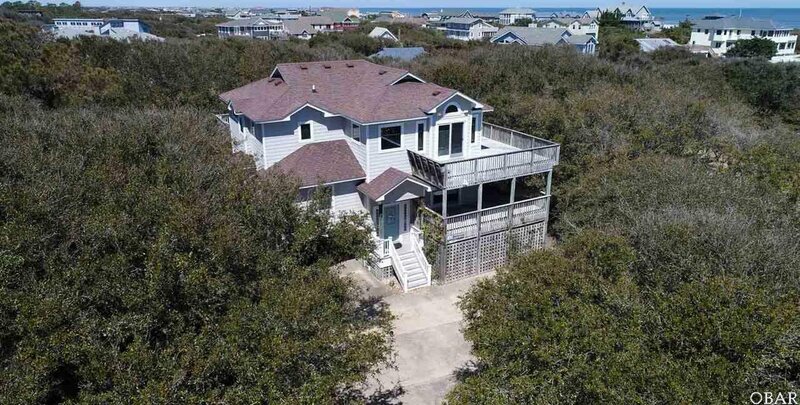 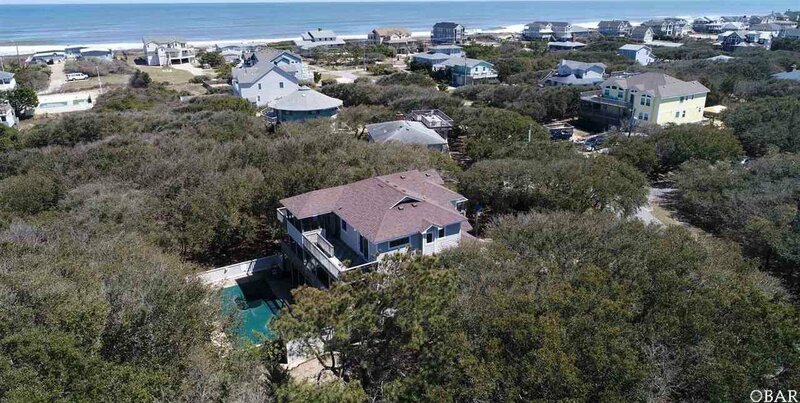 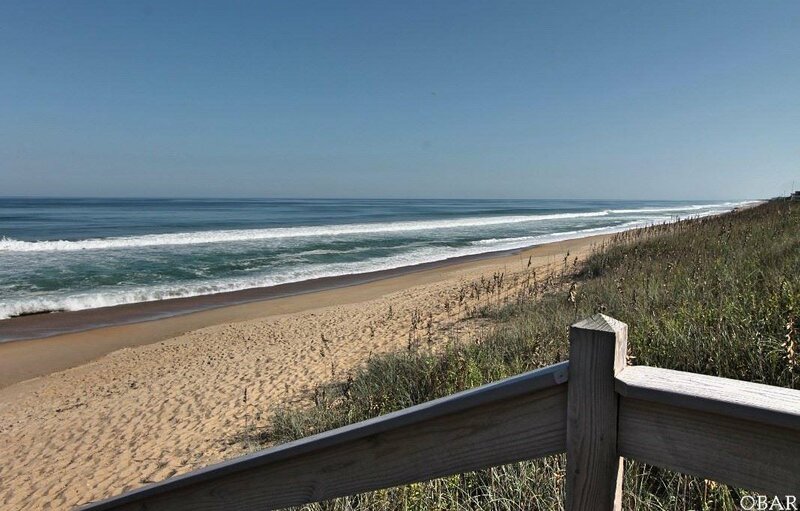 Just 500 ft from the beach yet nestled in the trees of Southern Shores, this Coastal Gem is waiting for you! 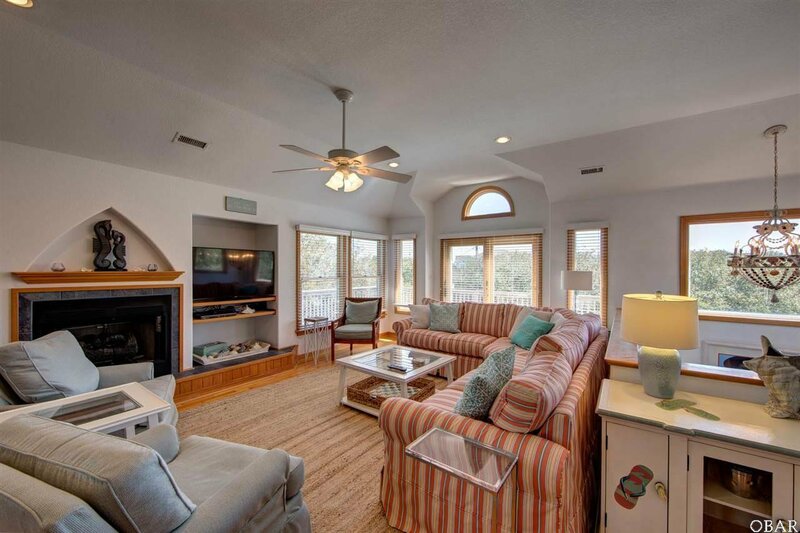 Absolutely beautiful, charming, coastal decor and furnishings throughout the entire home invites you in and begs you to relax and enjoy! 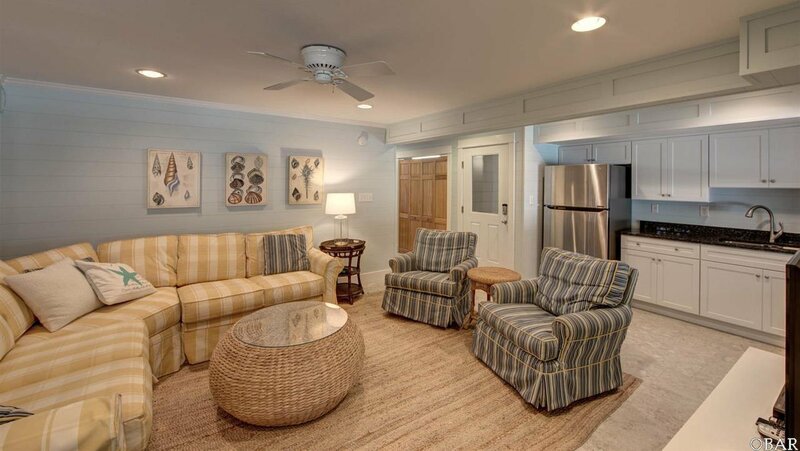 So many little details, from the shiplap on the lower level to the bamboo curtains, that just complete the home. 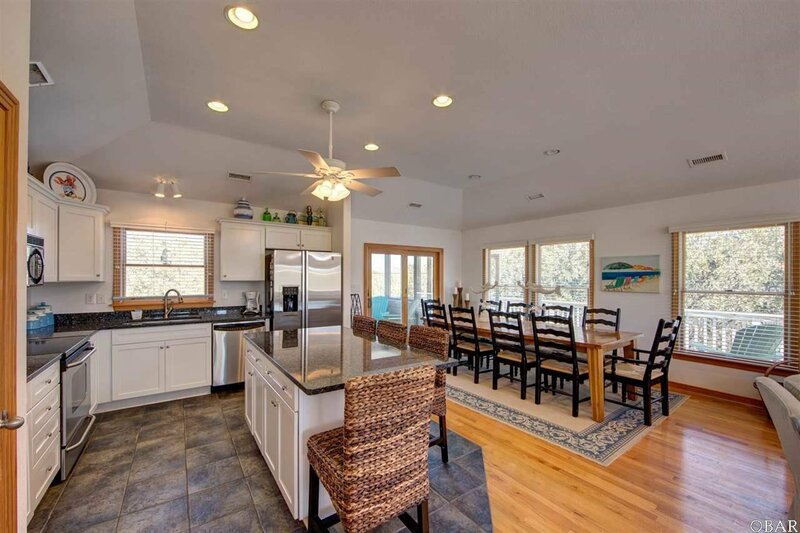 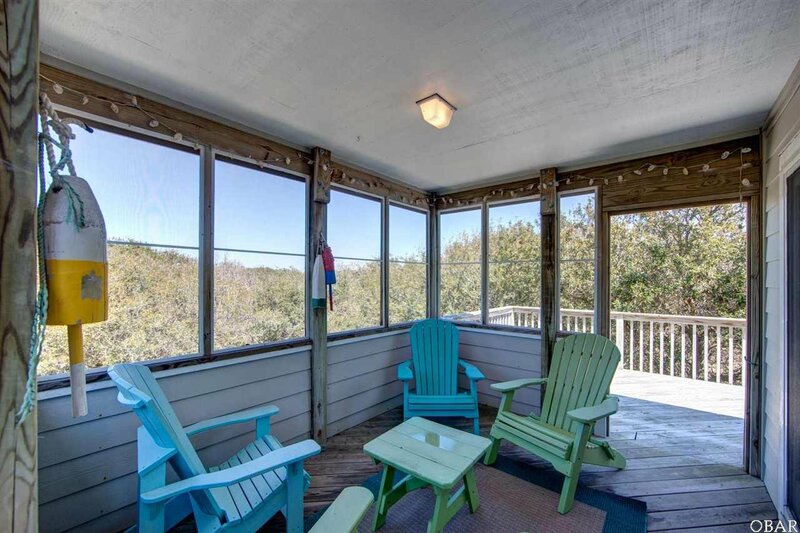 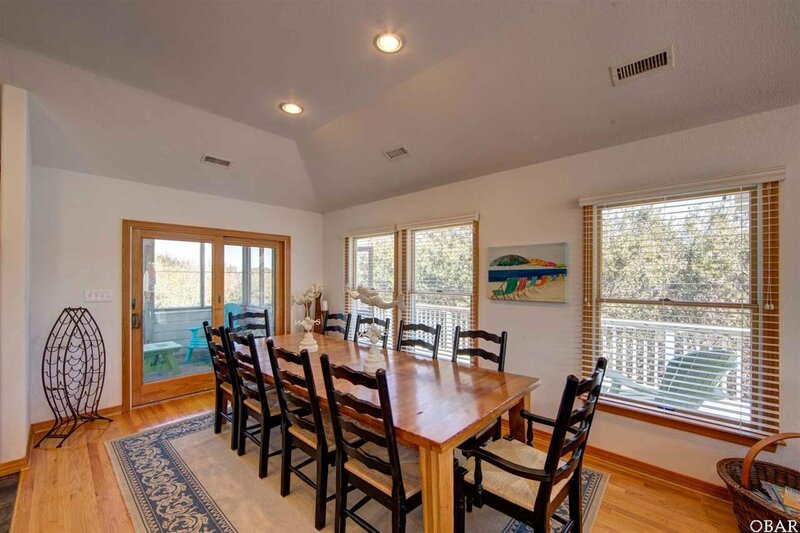 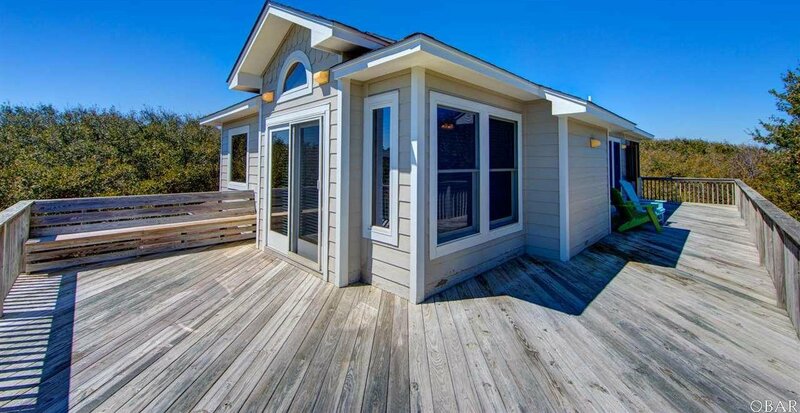 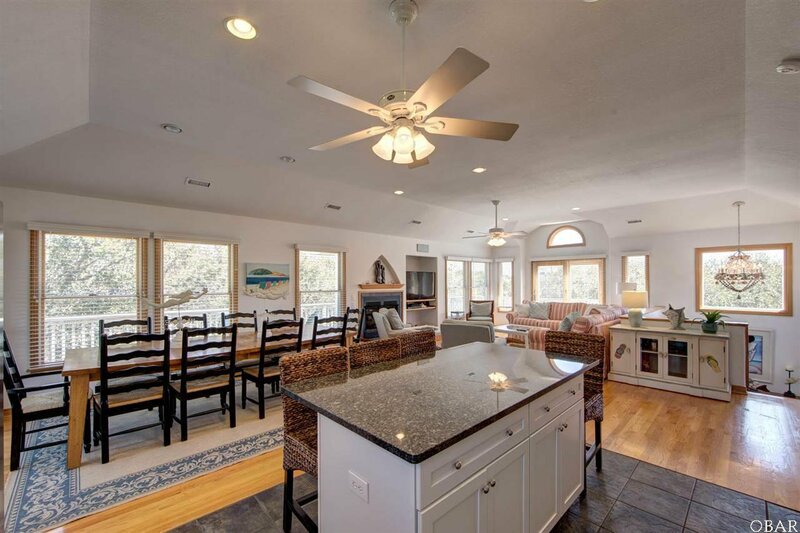 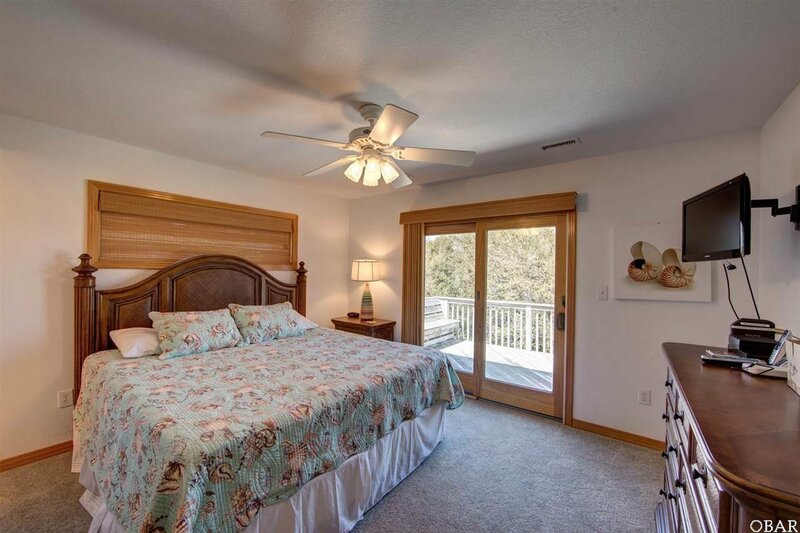 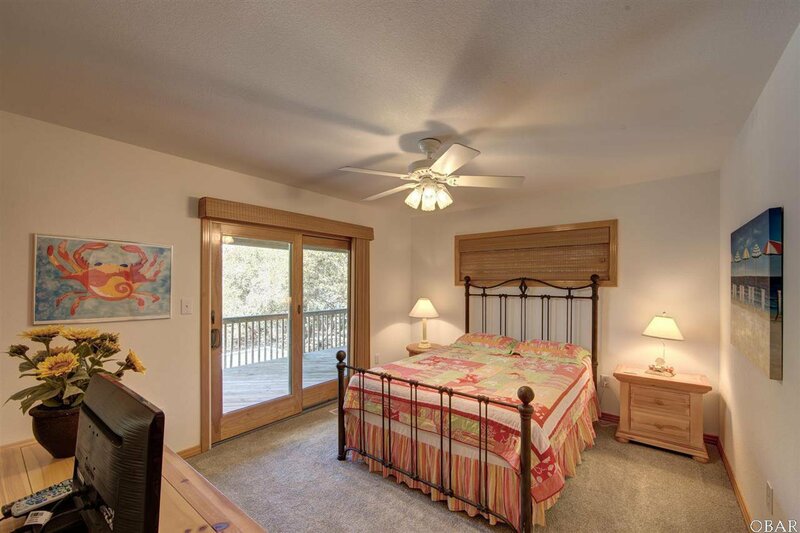 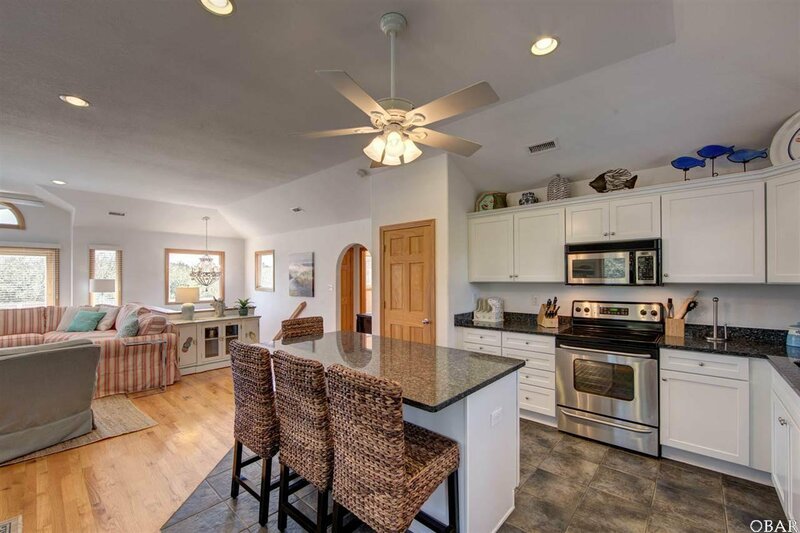 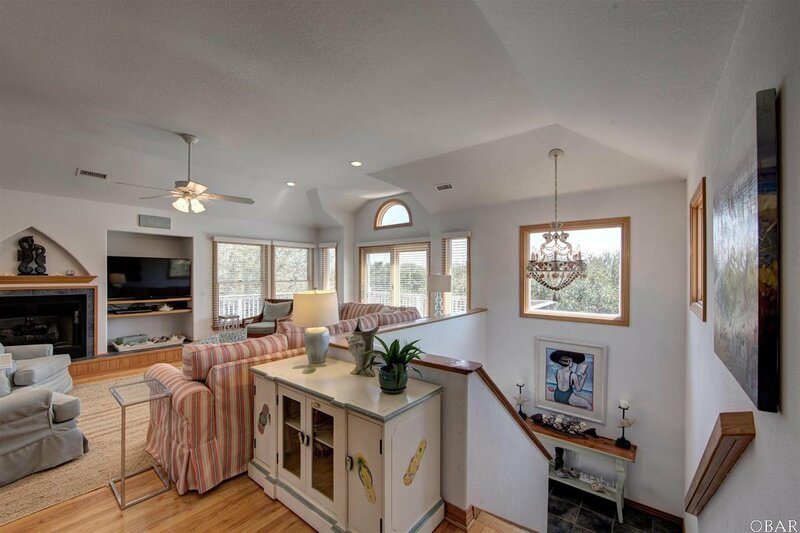 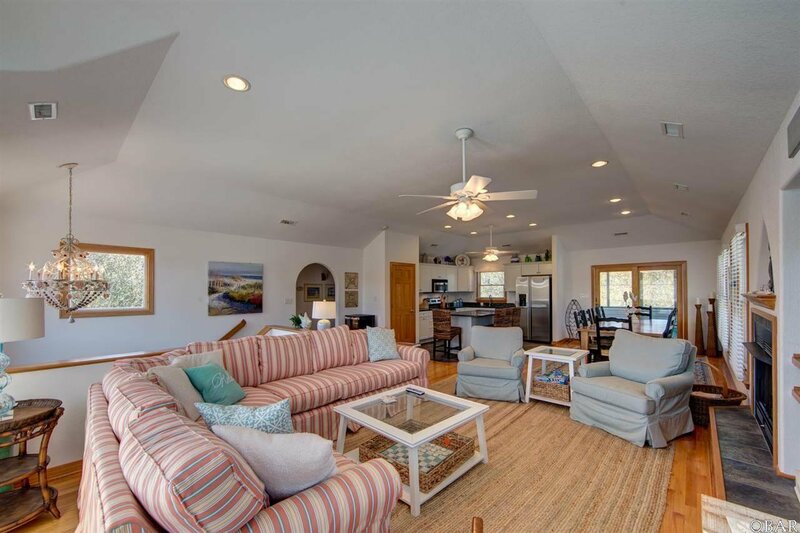 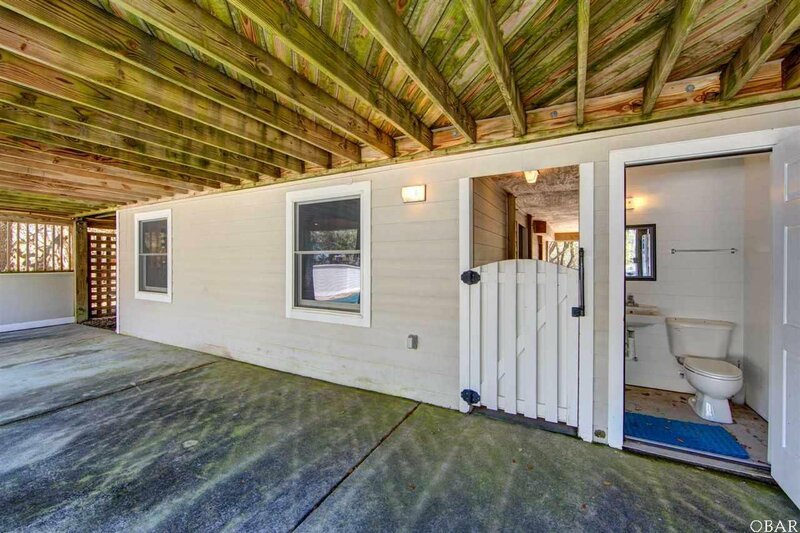 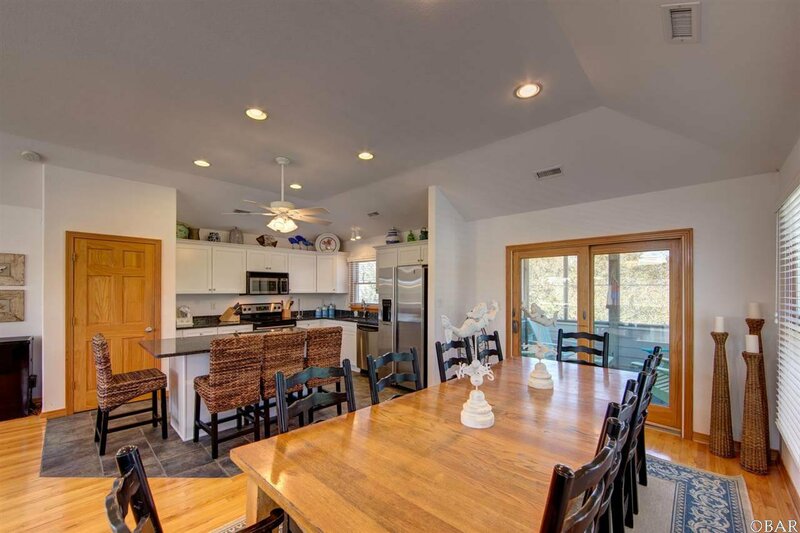 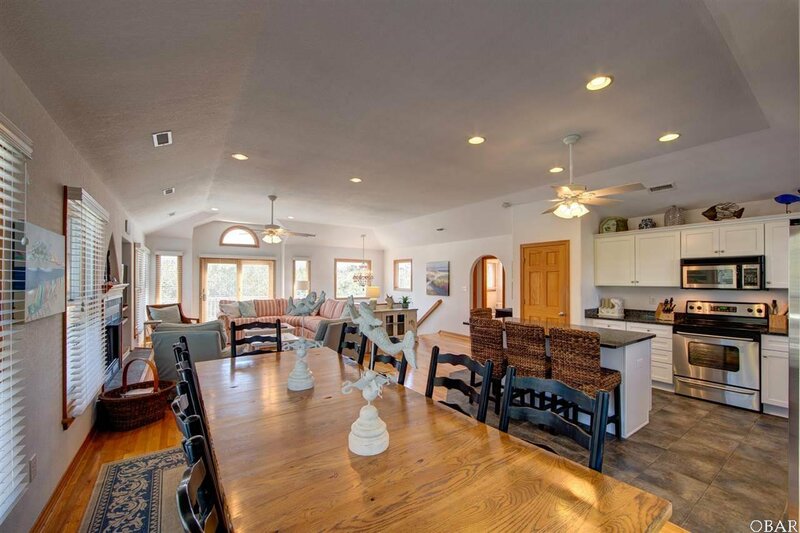 The top floor offers a large great room, master bedroom, a screened porch you will love, plus plenty of decks. 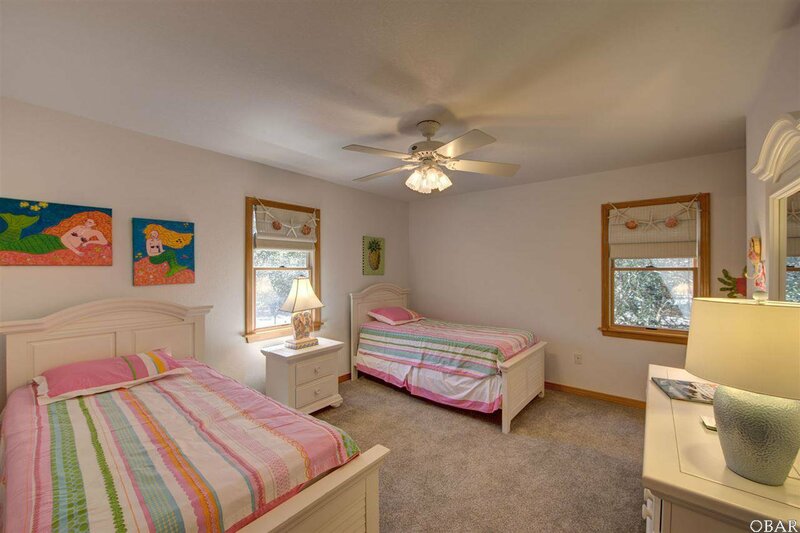 On the mid-level you'll find 4 more bedrooms, 3 with access to more then enough covered deck space. 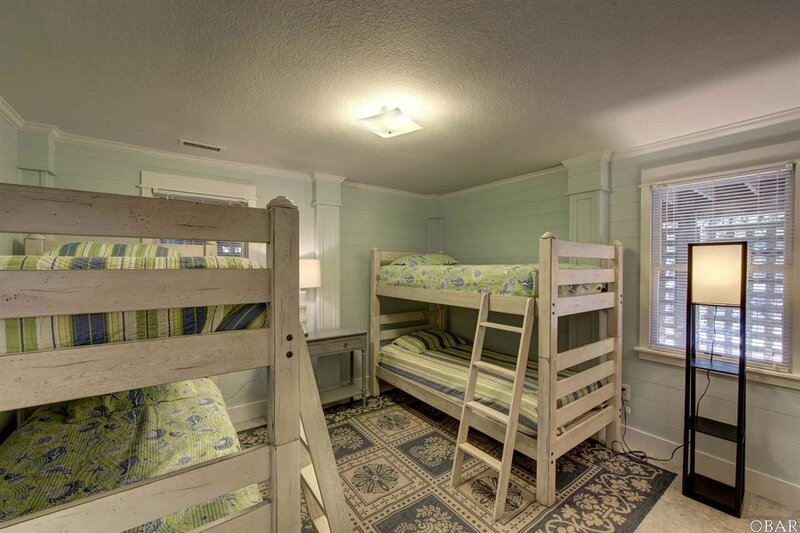 Move downstairs to find a bunk room and another large living space with a kitchenette. 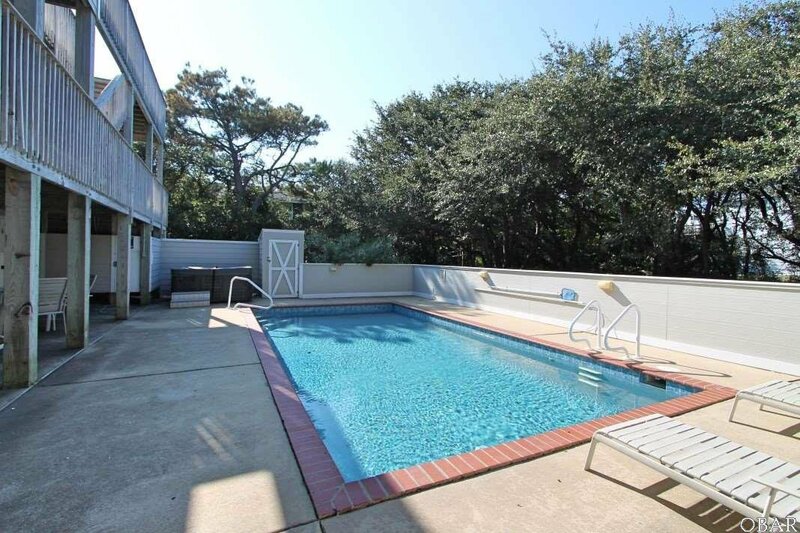 Head out back to find the pool, hot tub and outdoor shower. 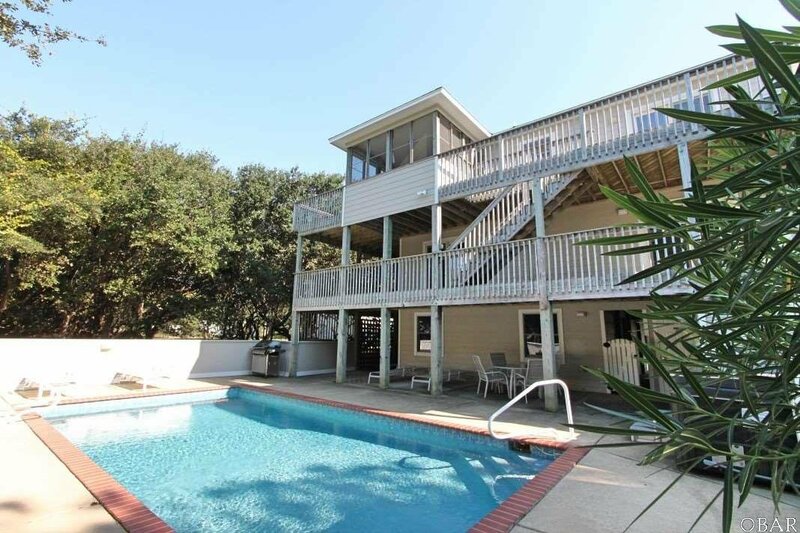 The outdoor living space is amazing - so many decks on the front, side and back for multiple living spaces plus the beautiful pool area with a 14x28 concrete pool. 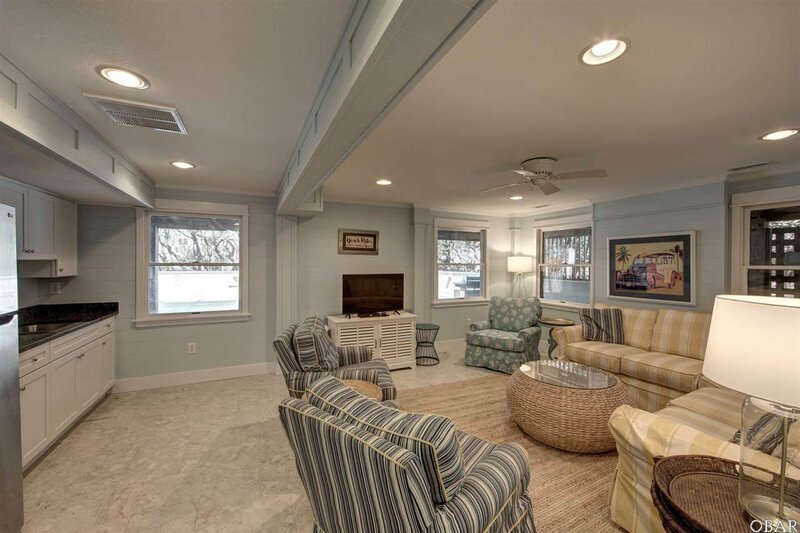 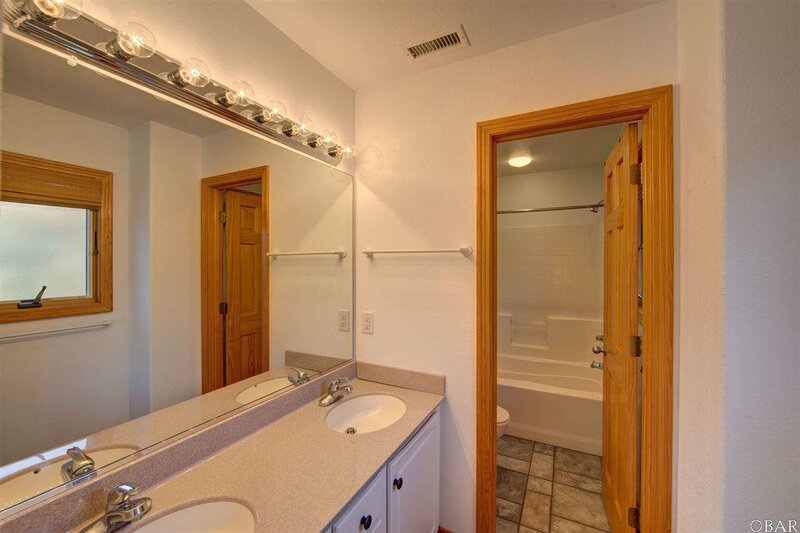 Located on a quiet street, all the trees surrounding the home offer lots of privacy. 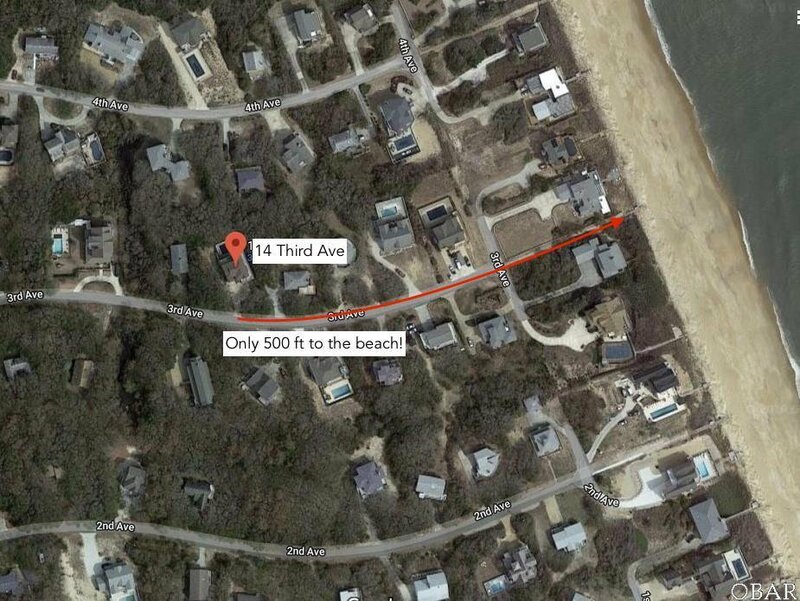 And the beach is just a very short walk, about 500 ft! 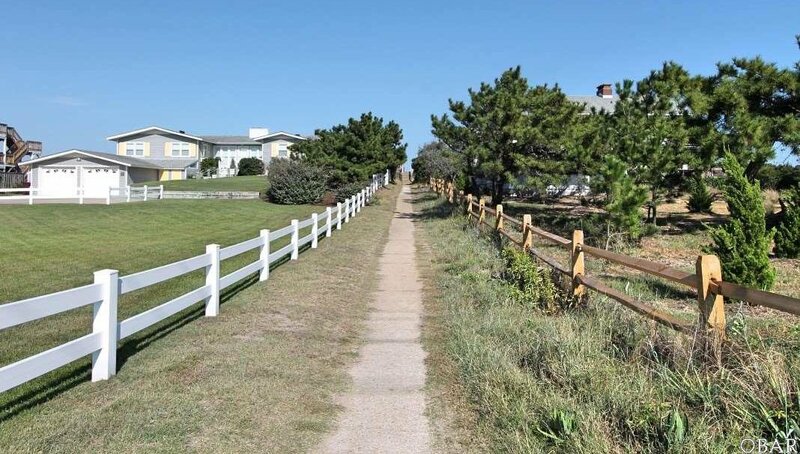 Downtown Duck is just 2 miles away with all the shopping and dining you need - don't miss the sunsets along the soundside boardwalk - breathtaking!